Thank you for your interest in our warm and inviting dental practice, Salt Lake Dental Care! We are a dentist Murray UT loves! We are dedicated to providing comprehensive dental care to all of our patients and their families. Our experienced but gentle techniques can ensure a pleasant visit, from when you first call our office to when you’re walking out with a fresh smile after an appointment. We invite you to contact us and learn more about our dental services and dentist, Dr. Clint Blackwood, DDS. We are looking forward to having you become a part of our dental family! If you are looking for a dentist in Murray UT, you’ve found us! A picture-perfect smile is not at all a far-off dream when you schedule cosmetic dentistry with our dentist, just a few minutes’ drive away. 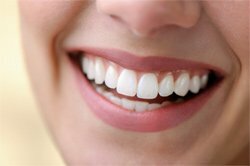 We offer teeth whitening, Invisalign®, Six Month Smiles®, porcelain veneers, crowns and bridges, dentures, and dental implants to reimagine the beauty of your smile while retaining its natural appearance. If missing or damaged teeth are making you cover your mouth or turn away from your own reflection, dental implants may be a good solution for you. Dental implants are sturdy and biocompatible tooth replacements that can function like real teeth. They can also be customized to match the appearance of your other teeth. Your third set of molars, often called your wisdom teeth, frequently cause discomfort when they begin to grow in. Common problems caused by wisdom teeth include crowding and harboring bacteria that causes severe infection. We typically advise patients to have their wisdom teeth removed and offer gentle and precise extractions to provide relief. Our Murray dentist and team love creating and maintaining beautiful smiles at Salt Lake Dental Care. 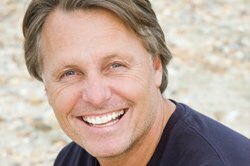 We aim to keep our patients’ teeth looking healthy and attractive throughout their lives. Our office is equipped with modern technology and comfortable amenities and is managed by caring and friendly team members for the benefit of our patients. Contact us today to set up a visit with us!